The ergonomic fine tooth Kraftform ratcheting bit-holding screwdriver provides fast, powerful and convenient screwdriving action. The 1/4" adaptor accepts any standard insert or power bits. The ratchet locks in either direction, as well as in the center or neutral position. Suitable for hexagon socket insert bits with 1/4" drive. This thing rocks. Load it up with a bit holding extension from any of the bit checks and you have yourself a lovely ratcheting screwdriver that will take quite a bit of abuse. Haven't Found Anything Like It! I'm in property maintenance and need to carry a lot of "multi-use" tools to cut down on the weight of my bag. I've yet to find another ratcheting screwdriver that fits my needs like this one. It is so versatile because they didn't put the standard length magnetic shaft on it, which limits functionality. Standard 1" driver bits, power bits, drill bits (yes, Ive had to do that in a pinch)...whatever...if it has a 1/4' shank, this one handle will lock it in and give you a comfortable grip while doing it! The ability to attach and remove bits with one hand is also a major convenience that is often overlooked. Bottom line...this driver is much better in quality and function than any ratcheting driver I have found to date. I love this tool. Insert the proper bit and extension and get busy. I am buying others for my tool boxes. Another way to make my work easier. Excellent screwdriver and outstanding quality. A pleasure to use it. Thanks KC Tool. Excellent quality. I really wanted to have the ratchet screwdriver as an addition to my Wera Kraftform Kompakt set. Worth every penny. 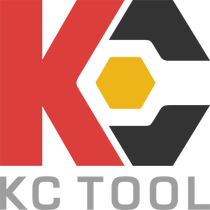 - - Thank you KC Tools! It is a little heavy but is very well built. The only thing that I found awkward was the adjuster is opposite every other ratcheting screwdriver I own(Snap On, Craftsman) it's not a fault of the tool more something I have to get used to. I had been wanting a ratchet screw driver handle so I gave this one a shot. It is good quality, the ratcheting mechanism works well, feels fairly good in the hand, not much looseness/play in the tip/blade attachment. - - Only down side so far is that it is very bottom heavy where the ratchet is. This makes the tool a little un-balanced and it is heavy enough to just feel very different than a regular screw driver. I suspect the bottom heaviness is a steel mechanism for the ratchet which would bode well for long life. Time will tell.